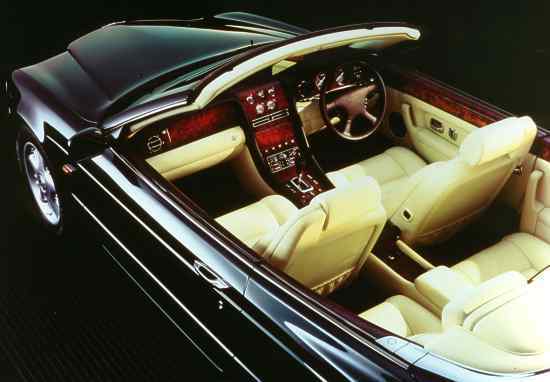 When Bentley unveiled at the Geneva Motor Show in March 1994 their Concept Java, this compact and powerful concept vehicle met with approval from dealers and customers alike. The companys styling team lead by Graham Hull in conjunction with experts from Design Research Associates had created an impressive four seater cabriolet. Work on the design had progressed further as a suitable new engine had been decided upon - a V8 engine of ½ litres capacity developed by Cosworth Engineering, a subsidiary of Vickers famous for tremendously successful Formula 1 high performance engines. Though the engine was much smaller than that of any current or indeed any post-war Bentley, fitted with twin turbochargers quite impressive performance figures were calculated (0-60 mph in 5.6 seconds; top speed in excess of 170 mph (273 km/h), electronically governed to 155 mph (250 km/h). However despite being a tremendous success at the Geneva Motor Show not much was heard about the project later on. The contract with BMW - Bayrische Motorenwerke, Munich - to supply a range of engines for the future models Rolls-Royce Silver Seraph and Bentley Arnage no doubt had given that company a special position with perhaps the consequence that no parallel development was allowed. 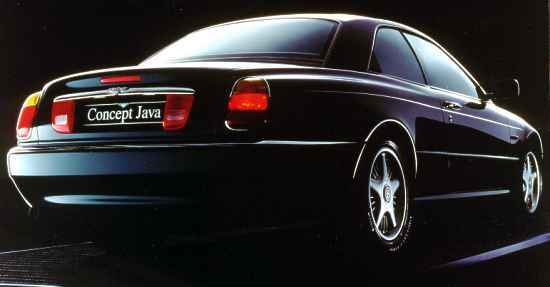 This led to speculation, BMW had a role in axing Bentley Concept Java.